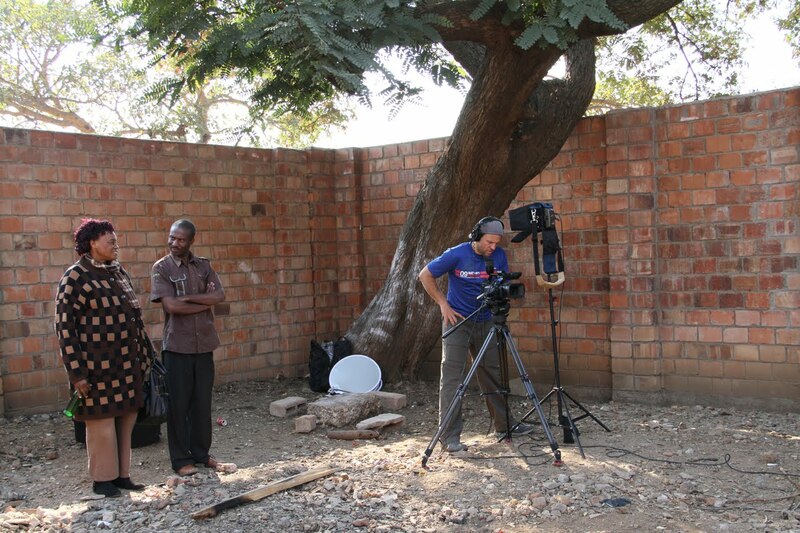 Shooting in Zimbabwe means a lot of firsts for me. First time shooting in southern Africa, first time in Zimbabwe. We have a benign, but frequent police presence and were strictly limited to pre-approved locations. I’ve never had film subjects so keenly aware of the authorities. Undoubtedly, it’s the fresh memory of the 2008 post-election violence. Our home base was a Catholic school where I assume we could film nothing more provocative than noisy children — which skewered audio conditions for our interviews, but made us some friends.